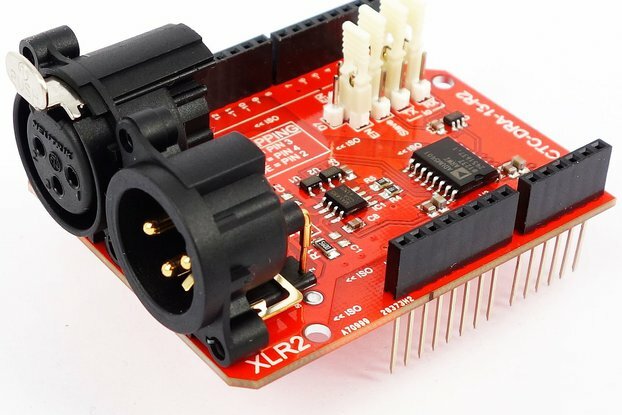 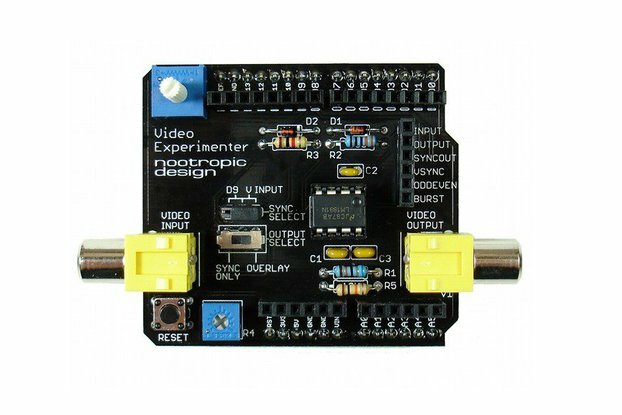 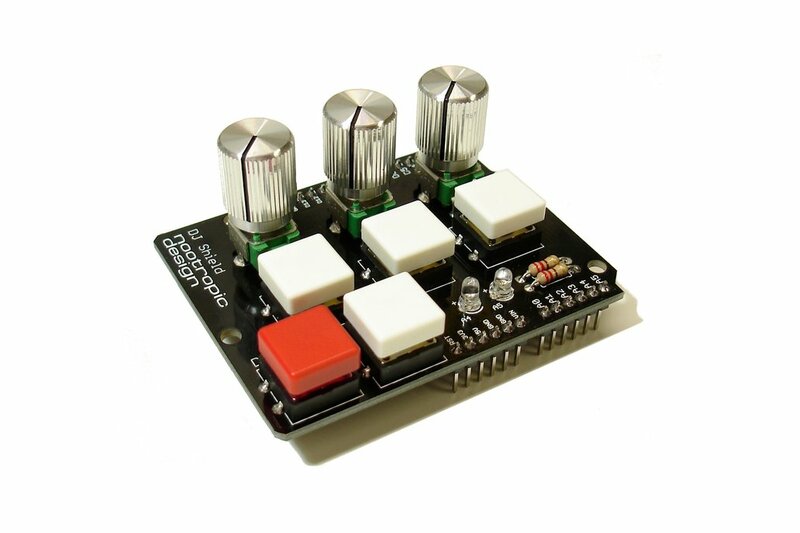 Nice buttons and pots with deluxe knobs for your Arduino! 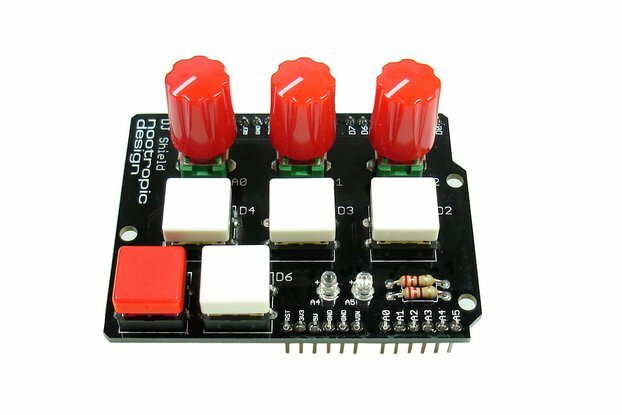 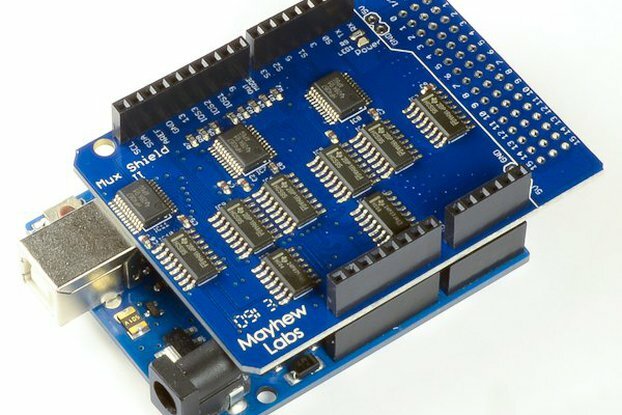 The DJ Shield shield for Arduino give you 5 high-quality buttons and 3 10K linear potentiometers to provide input to your projects. 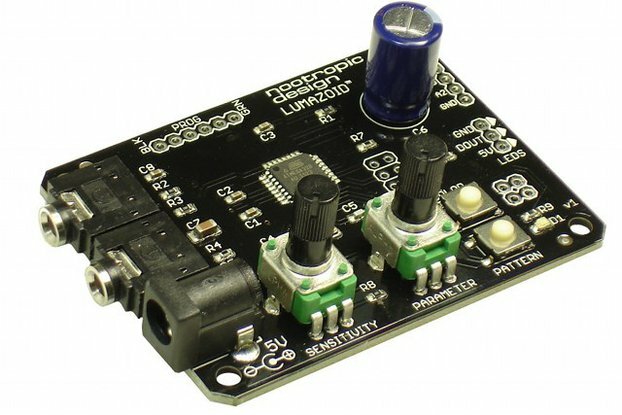 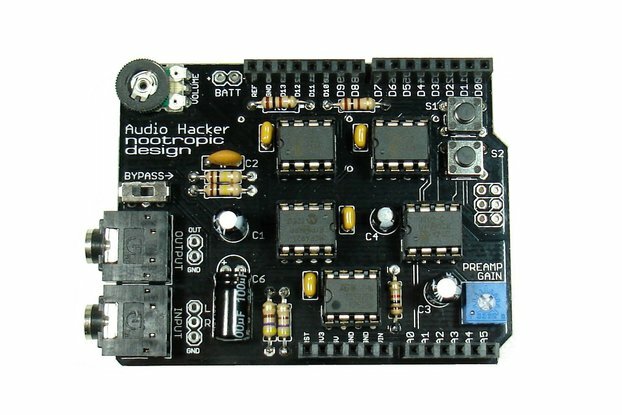 The DJ Shield was designed for use with the Audio Hacker shield but can be used in any Arduino project. 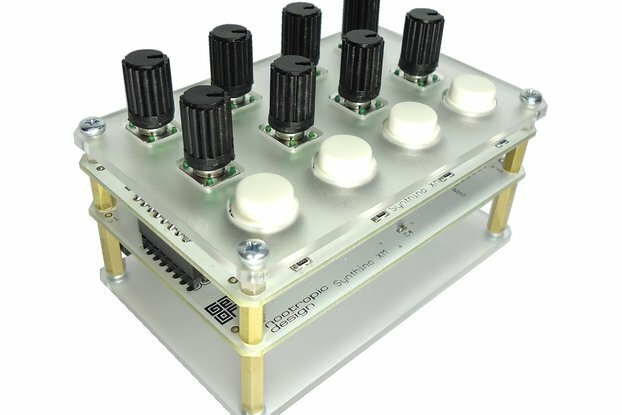 This product is fully assembled and has deluxe aluminum knobs.